Join local naturalist and amateur photographer Julie Covey for an evening of learning about photography and our avian friends. Bring your camera (point and shoot, or DSLR with lens) and get advice on where to find, and the best combination of settings to help you to capture images of the birds around us. Meet us at the Trailside Learning Center (Redwood Hill Preserve) at 6:30. All ages and abilities encouraged to attend. 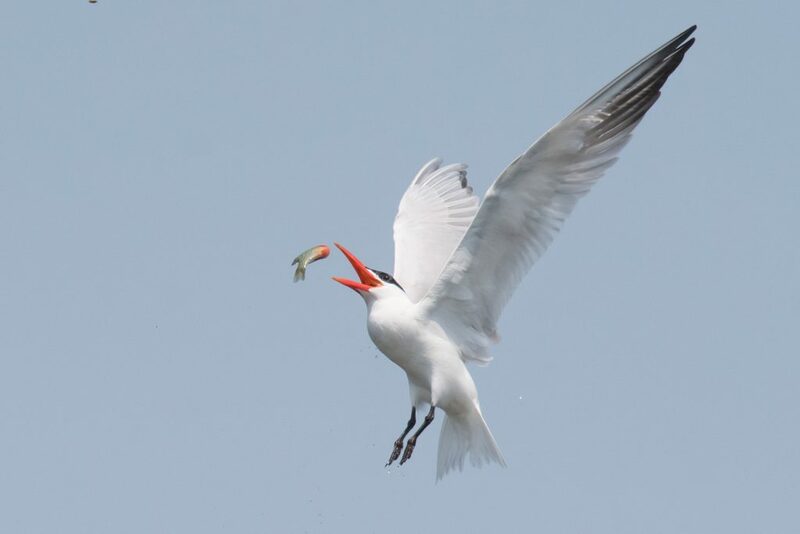 A Caspian Tern throwing a fish up to catch it and then swallow it. Photo by Julie Covey.